Diazepam, commonly marketed under the brand name Valium, is a widely prescribed benzodiazepine with a number of uses. It is used as an anticonvulsant, anxiolytic, sedative, and muscle relaxant 1. Diazepam is also used to manage seizures and agitation associated with alcohol withdrawal 2. The drug is rarely prescribed for longer than 4 months due to its dependence potential. Many people abuse diazepam for desirable effects, such as relaxation and feelings of well-being. Once a user begins a cycle of Valium abuse, addiction can soon follow 2. Developing an addiction to a prescription pain medication, such as Valium, is quite serious, and is best treated in a professional facility using a combination of therapy and medical support. Between 2005 to 2011, benzodiazepines were involved in roughly 1 million emergency department visits. Studies have found that despite the inherent risks of benzodiazepine use—including a high risk of hip fracture among elderly users—older Americans are more likely to use these drugs than younger people (in 2008, nearly 9% of people between the ages of 65 and 80 were prescribed a benzodiazepine while only 2.6% of people from 18 to 35 years old were). One study found a significant association between benzodiazepine use in older people and increased risk of Alzheimer’s disease. 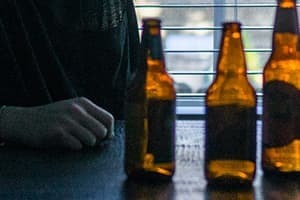 If someone you care about suffers from a problem with drugs or alcohol, you might seek help in the form of detox treatment, which lets the addict withdraw safely from the addiction. Diazepam is a Schedule IV drug, meaning that it carries a risk for drug abuse and dependence 8. When your body develops dependence to a drug, your brain and various physiological processes will begin to function properly only when the drug is present in the system. At this point, should you stop your use of diazepam, you will likely experience withdrawal symptoms. Benzodiazepine withdrawal is similar to alcohol or barbiturate withdrawal in that it is characterized by a set of uncomfortable and in some cases, life-threatening symptoms 8. If you or someone you love is addicted to Valium and is thinking of stopping their use, it is important to seek professional detox treatment to minimize your risk of a complicated or, even, life-threatening withdrawal. Hypersensitivity to light, noise, or physical contact. In general, symptoms of withdrawal from diazepam will be more severe the longer you have abused the drug 8.According to the Diagnostic and Statistical Manual of Mental Disorders, Fifth Edition (DSM-5), as many as 20-30% of people withdrawing from sedatives without treatment experience a seizure 9. With the support of a Valium detox program, you can detox from the drug safely under the supervision of medical care professionals. Individual detox timelines will vary based on a number of factors. For instance, if you were only using Valium, your detoxification experience and duration will be very different than someone’s who was using Valium, alcohol, and opioids. The detoxification protocol for Valium will likely consist of a tapering schedule in which the dose is gradually reduced over a set period of time, but before starting your drug detox program, you will first meet with a physician to ensure that you are medically stable. Your doctor will assess the severity of your addiction and likelihood of experiencing a complicated benzodiazepine withdrawal syndrome and create an appropriate dosing schedule ranging from several days to weeks. A gradual tapering schedule will help individuals wean off of Valium and minimize the abrupt onset of uncomfortable and potentially harmful withdrawal effects, such as seizure. Withdrawal symptoms can be the most severe when you abruptly discontinue your drug use, so tapering can be an especially effective way to gradually reduce the amount of the medication in your system 9. Week 1: Withdrawal symptoms onset will typically occur within about a week. Week 2: During this time, your withdrawal symptoms may get quite intense. Weeks 3-4: Your withdrawal symptoms will likely improve and fade away during this time. Average dose of Valium used. Given the widespread abuse of Valium and similar drugs, there are numerous detox facilities that are equipped to safely assist you throughout the withdrawal process. 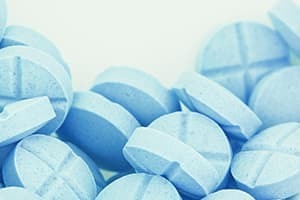 Do I Need Valium Detox? You take Valium in larger amounts or for longer periods of time than intended. You keep trying to quit or cut down your Valium use but fail to do so. You spend a large part of your time trying to get more Valium, to use Valium, or recover from Valium effects. You experience strong cravings or urges to use Valium. Because of your drug use you neglect responsibilities at work, school or home. You continue using Valium despite problems it causes in your social life or with your relationships. You stop engaging or reduce your involvement in activities that you once enjoyed because of your drug use. You use Valium in situations that are dangerous such as driving or operating machinery. You continue using Valium despite the physical or psychological problems that it causes or exacerbates in you. You experience withdrawal symptoms with reduction in or discontinuation of use. If you think that you or someone you know is addicted to Valium, formal detox treatment may be a beneficial option. You can search through our directory or call your insurance to see which programs are covered. A reduced risk of relapse, because you will receive constant medical supervision and be separated from triggers to use. A reduction in the severity and frequency of withdrawal symptoms. A supportive environment where you can safely and comfortably detox. The possibility of receiving additional medications for the treatment of any other physical or psychological issues you may experience. Access to therapy for psychological problems. Professional medical intervention, should complications arise. Planning for the transition into Valium addiction treatment. Protracted withdrawal syndrome, with unpleasant symptoms lasting for months or even years. Given the associated risks of Valium withdrawal, the best way for you to stop using the drug is through professional detox treatment, where you can quit the drug safely and comfortably. You can receive detox services on an inpatient or outpatient basis. Outpatient detoxification generally requires that you travel to a hospital or treatment facility daily to receive treatment. Depending on the program, your treatment sessions will be scheduled in the daytime or evening. Detox will begin with an initial assessment to help determine your detox schedule and dosing. You may be asked to provide your medical and mental health history, as well as conduct a physical examination. During detoxification, a medical team will assess and treat your withdrawal symptoms to help ensure you are as safe and comfortable as possible. It may be the case that outpatient treatment is not appropriate for your situation. If you require more supervision and medical care, inpatient detox is ideal. Inpatient detox offers medical support and monitoring 24/7 so that you will remain safe while you rid your body of Valium. These detox settings are additionally extremely useful in removing you from your environment so you can avoid triggers to use Valium. Inpatient is particularly important for someone suffering from significant diazepam dependence since withdrawal can be potentially fatal due to the risk of seizures. After completing an appropriate Valium detox program, you will then need to transition into the next level of treatment—inpatient or outpatient addiction treatment. This is a natural transition, as formal treatment after detox will allow you to focus on your rehabilitation once the drug is safely removed from your body and equip you with the skills necessary to live without drugs. In treatment you will meet other people who are going through recovery and create a stable network of non-drug using contacts that will serve as support whenever you feel urges or cravings to use Valium after leaving treatment. Valium, which is given on a tapered schedule to help your body slowly adjust and prevent complications. Another benzodiazepine, such as chlordiazepoxide or clonazepam, that is gradually tapered off. Phenobarbital to help reduce anxiety and to ease withdrawal symptoms. Anticonvulsants like carbamazepine or valproate to help reduce the likelihood of seizures. Sedating antidepressants, such as trazodone, to ease insomnia and anxiety. If you forego formal treatment following detox, you run the risk of relapsing and possibly overdosing. After Valium detox, your body is stabilized and your tolerance has been reduced. Without formal treatment, your likelihood of returning to drug use is much higher, and with a lower tolerance, you may be more at risk of overdosing. Going to treatment may be the first time you have slowed down and reflected on your drug use. In treatment you can tune out all of the triggers to use Valium and focus on yourself and your recovery. Many people do not take this opportunity while they are struggling with Valium addiction and the consequences can be huge. Additionally, many people who are addicted to benzodiazepines have a co-occurring mental health disorder or substance use disorder that is fueling their Valium addiction. In treatment, you will work with medical care professionals to address any co-occurring issues you are dealing with. You will learn coping skills so you feel equipped to handle any challenges you face after treatment. For example, you may take part in cognitive behavioral therapy (CBT) during treatment which helps you recognize what triggers you to use Valium. Recognizing your own triggers can help you figure out how to best respond when you feel an urge to use the drug after treatment. Desirable location (such as a beach). Partial hospitalization program (PHP): If you are stable enough to travel to and from the hospital daily for treatment, but require medical care, this is a great option. Typically, these programs require that you visit a therapist for 4 to 6-hours a day, 5 days per week. Intensive outpatient program (IOP): IOPs are designed for people who do not need the level of intensity provided in PHPs or inpatient treatment. These programs focus heavily on group and family therapy, and require that you visit the facility anywhere from 3 to 12 hours of therapy per week. Standard outpatient: Standard outpatient provides you with the flexibility to live at home and visit the treatment facility each week to work with a therapist. Group therapy is the hallmark of outpatient treatment and you will spend a set number of hours engaging with other people who are going through recovery to share tips for staying sober, to support one another, and to create drug-free environments. Standard outpatient programs typically meet 1-2 times per week for 1-2 hours each day. Substance Abuse and Mental Health Services Administration (SAMHSA): The Dawn Report. (2014). Benzodiazepines in Combination with Opioid Pain Relievers or Alcohol: Greater Risk of More Serious ED Visit Outcomes. National Institutes of Health. (2014). Despite risks, benzodiazepine use highest in older people. Wagner, A. K., Zhang, F., Soumerai, S. B., Walker, A. M., Gurwitz, J. H., Glynn, R. J., & Ross-Degnan, D. (2004). Benzodiazepine use and hip fractures in the elderly: who is at greatest risk?. Archives of internal medicine, 164(14), 1567-1572. Longo, L. P., & Johnson, B. (2000). Addiction: Part I. Benzodiazepines-side effects, abuse risk and alternatives. American family physician, 61(7), 2121-2128. Food and Drug Administration. (2008). Valium. American Psychiatric Association. (2013). Diagnostic and Statistical Manual of Mental Disorders (DSM-5). Washington, D.C.: American Psychiatric Publishing. Center for Substance Abuse and Research. (2013). Benzodiazepines. Centers for Medicare & Medicaid Services. (2009). Impacts Associated with the Medicare Psychiatric PPS: A Study of Partial Hospitalization Programs. Substance Abuse and Mental Health Services Administration. (2006). Detoxification and Substance Abuse Treatment: Treatment Improvement Protocol (TIP) Series, No. 45. Rockville, MD: Substance Abuse and Mental Health Services Administration.